As you all know, Fantastical Sharing is a food blog. I'm a recipe hoarder and this blog is a way to share all my fantastical finds with y'all. Plus a little motivation for me to make all the recipes I've hoarded. I like to make a variety of foods and try to make mostly homemade, from scratch meals. 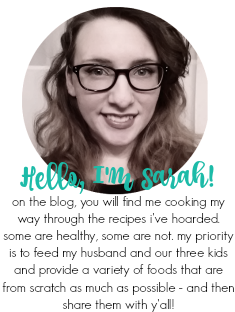 I'm Sarah E. I'm 30 - and married to my high school sweetheart, Nick, who is working in IT and serving in the reserves after 8 years of active duty service in the Army. We have been married for 12 years, together for 13 1/2. He's my main taste-tester. In 2014, we were finally able to settle down in our hometown of Knoxville, TN, into our first home - which is both exciting and terrifying! We have three kids. The two older partners-in-crime, Matthew, 12, and Cambria, 11 - they are 11 months apart to the day. 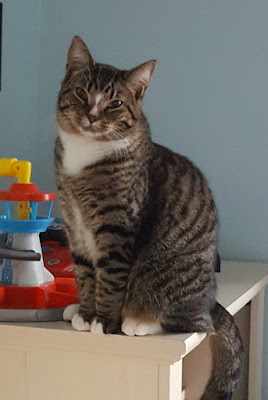 Mason, 4, joined our family in 2015. 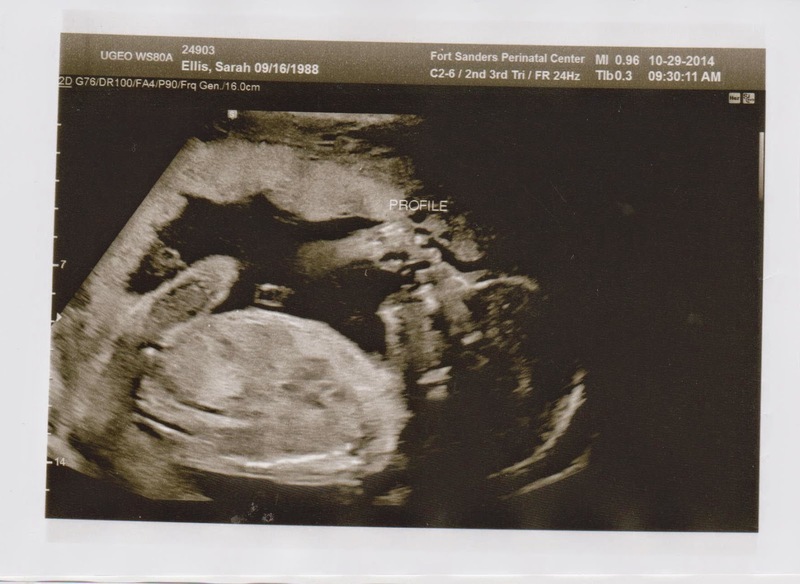 He was a total surprise, but now that he's here, I cannot imagine him not being a part of our lives. We also have three kitties, Bella, 10, Muffin, 8, and Archer, 2 (who we added in June 2017). Bella is my kitty, Muffin is Nick's kitty, and Archer hasn't picked a favorite yet. We have a "mini" GSD named Saydee, who is 4. 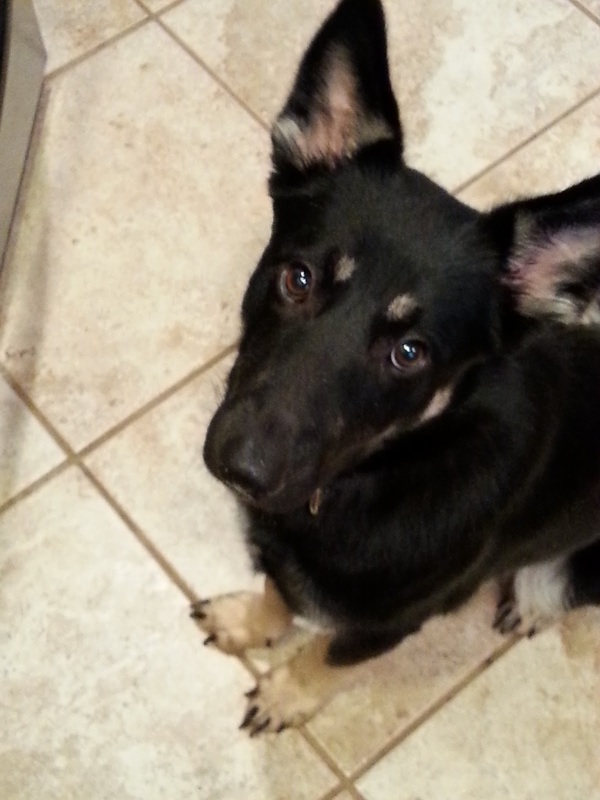 She's mixed with something, but looks just like a GSD puppy. I need to do one of those DNA tests on her! In my spare time, when I'm not cooking/baking/eating and blogging, I enjoy reading, planning, and playing video games. You can also find me on Pinterest, Facebook, Instagram, and Twitter. Now back to the sharing! Just came across your blog and I am really excited to try a lot of your recipes! Love how you have pictures of everything!